• Features the work of over 80 local and international street artists, including Banksy, Two One, Swoon, Everfresh and Da Mental Vaporz. • Photographs divided into chapters on different types of street art. 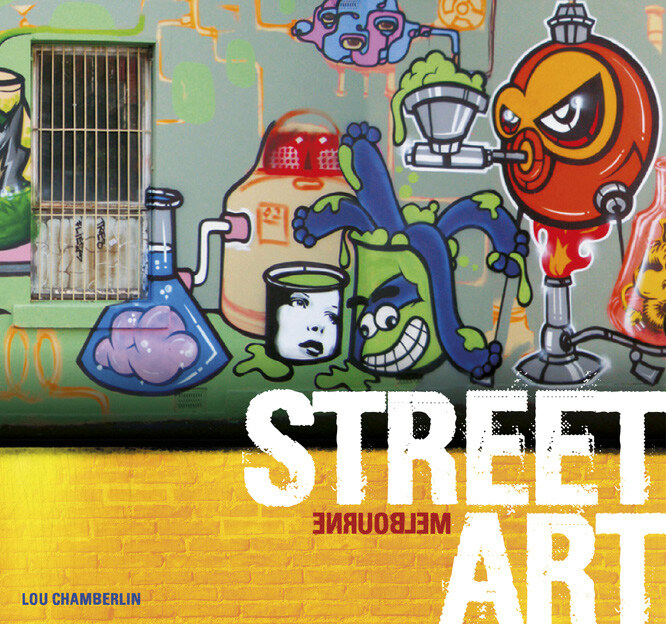 • Ideal travel memento of Melbourne’s colourful street art scene, or for anyone in the art world. 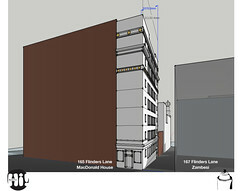 • Foreword written by Luke McManus, Chairperson Hosier Inc.
Street Art: Melbourne is to be launched in Hosier and Rutledge Lanes on the 26th of October 2013, and supported by Melbourne City Council. Some street artists will be ‘at work’ during the launch. Lou Chamberlin is an artist, author and arts educator. She has been teaching and writing about art and artists for children and young adults for 20 years and has created artists’ books for the last 10 years. Her interest in street art has been fuelled by living and working in Melbourne with its vibrant and ever-changing street art scene. She has also researched and prepared photo-documentation of the street art of Rio de Janeiro and Valparaiso. The photographs in this book were taken between May 2005 and March 2013. The City of Melbourne, University of Melbourne and Green Roofs Australia invites you to an evening with Edmund C. Snodgrass and John Rayner. Discover the latest trends in Green Roof research, design and implementation from a unique global and local perspective. Edmond C Snodgrass is a fifth generation farmer and founder of Emory Knoll Farms Inc. and Green Roof Plants. Since its inception, Emory Knoll Farms has supplied plants for over 400 green roof projects throughout the United States and Canada. Edmund collaborates on green roof research with academic institutions including Penn State University, North Carolina State University and Michigan State University, and he advises botanic gardens, including the Singapore Botanic Garden and the U.S. Botanic Garden, on green roof installations. John Rayner is a lecturer in urban horticulture at Burnley, University of Melbourne. His teaching and research areas are focussed around the design and management of urban landscape plantings, including green roofs, vertical greening, climbing plants and children’s and therapeutic landscapes.John presents regularly at conferences and seminars in Australia and around the world and has published widely in industry journals and magazines. He has helped establish a research program to develop green roofs suitable for Australian conditions as a climate change adaptation strategy and is actively involved in substrates research and development. 31st August 2010. Today was an opportunity to raise awareness, and remember those who have died or are living with permanent injuries as a result of overdose. 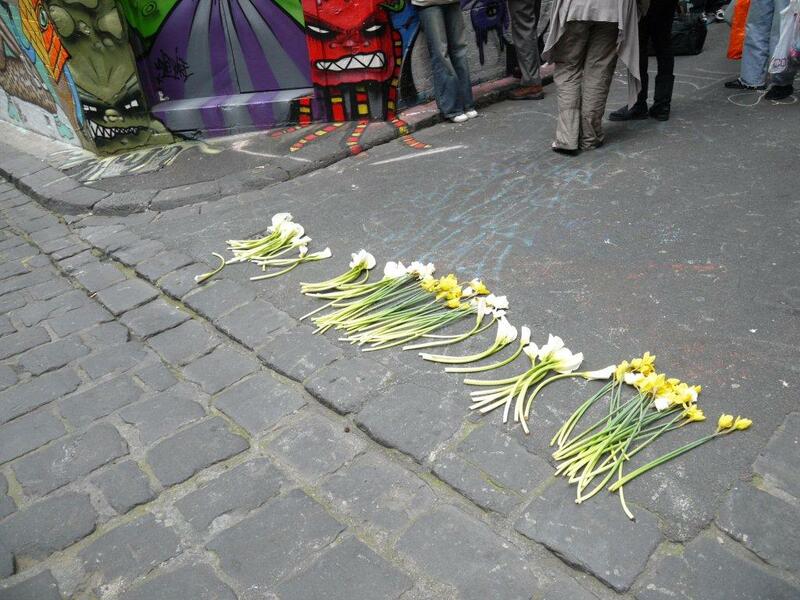 The day was marked by Youth Projects and The Living Room in Hosier Lane with a gentle memorial ceremony and laying of flowers in memory of those lost or permanently damaged by overdose. Photos include the chair of our board with a clients and floral tributes left by other clients, family and friends during the day. ……..to grow Melbourne as a global city and as one of the top ten most liveable and sustainable cities in the world……. Interestingly about 90 residents attended the meeting – 60,000 invitations had been mailed. Aparently the media campaign has been quite aggressive with a front page of the Age and one TVC? 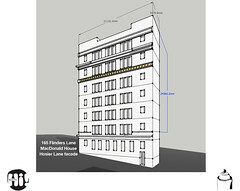 Nine months has been spent creating this “High Level” statement encompassing many objectives and identifying “key” issues, however this is the first time “the Public” have been officially invited to give their views or register their concerns (this must be done via offical submission on the correct submission forms). Check the COM website and have a good read of what is proposed – it is our city and we only have until 3 Sept. 2010 to put forward our submissions – there is a lot to question and even more to embrace. Read more about the statement here. The Question remains: what are they intending for Hoiser and Ruttledge? An opportunity to raise awareness, and remember those who have died or are living with permanent injuries as a result of overdose. 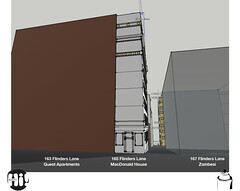 I just hope they remember the residents and the need for safe accessible rubbish bins.